Peace, love, and surf naked from the west. I represent a crew of solid mo' fo's. We've been tearin' up nor' cal' for the last 6+ years psy trance stylie. Big up to the Pheonix Phamily. As a cofounder of Full Circle productions, I have participated in the production of at least 2 parties a month consistently in one way or another. Living in my van and spending the money save from rent on speakers, amps, mixers, and tracks, it would seem that i'm an addict. I'll be the first to admit it. This lifestyle has also afforded me studio rent and an opportunity to record my original music as a singer/bassist/songwriter. 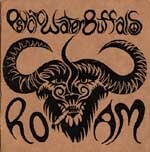 (Psychic Waterbuffalos CD recorded 4/20/01-currently being mastered by DJ Random) I have also included as brief yet explicit DJ text book which I wrote based on and expanded off on an apprenticeship with my long time partner and drummer "WICHDoKtA." Included are instructions on a game that I am developing entitled "WiChCrAfT." Further reading will unfold a road map to the world of electronic music. Proceed with caution.